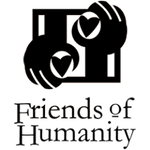 Friends of Humanity is now on Amazon Smile. This means when you use the link below or go to http://smile.azazon.com and sign up, we get ½ cent for every dollar spent on eligible purchases (ten million items). While this may not sound like much, it adds up… and it is a painless way for you to support us.